EPA head Scott Pruitt cited the bible when announcing a raft of changes which will affect who can advise the agency on its science advisory boards. Critics have seen the move as an attack on independent science. The new policy prevents hundreds of scientists working in universities from serving on the agency’s advisory boards, while simultaneously increasing the representation of private companies and industry groups. 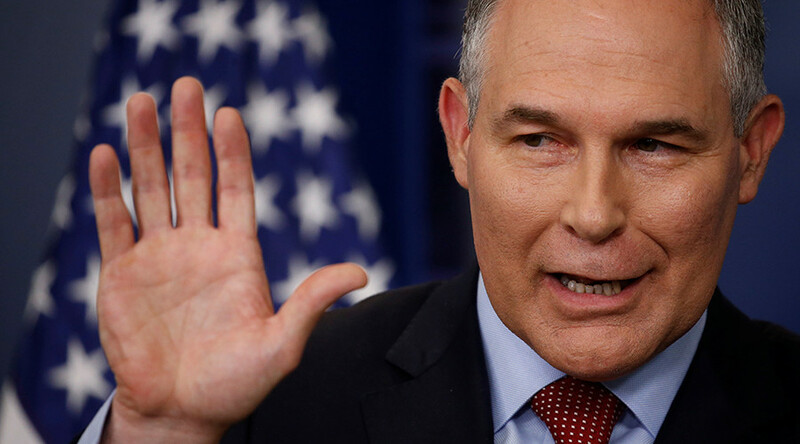 Effective immediately, scientists who receive EPA grants can no longer serve on the agency’s three main advisory boards. “Choose this day whom you will serve,” The Hill quotes Pruitt as saying on Tuesday. Perhaps unsurprisingly many scientists slammed the decision. “This is nothing more than a thinly veiled attempt to try to exclude sound scientific expertise from these advisory committees, and is consistent with efforts to pack these committees with non-science-based interests,” Mark Wiesner, a Duke University civil and environmental engineer who sits on the EPA’s Board of Scientific Counselors, told Chemistry World prior to the announcement. “This EPA decision is motivated by politics, not the desire for quality scientific information,” he added. Some Democrats were also outraged. “Since he arrived at the agency, Mr. Pruitt has repeatedly worked to silence EPA scientists, deny the facts and discredit science inconvenient to his agenda; now he’s trying to get rid of the scientists altogether,” Senate Environment and Public Works Committee member, Senator Tom Carper said.